We have been providing New York City residents with reliable heating and air conditioning repair services for over thirty years. We pride ourselves on always doing the job right the first time, being there when we promise, and guaranteeing everything we do in writing. We’ve always stood by our pledge to have the best trained technicians for the job, who will respect your home, always have upfront pricing in writing with no hidden fees or costs, and always be on time — 100% Satisfaction Guaranteed! From routine HVAC repairs to emergency services, we are ready to meet all of your household and business needs. Our goal is helping you maintain a comfortable environment for your family or customers, and when a problem suddenly arises, quickly getting you back to being comfortable. 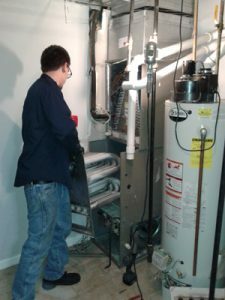 We promise to surpass all of your expectations for heating & air conditioning,repair services in New York City.